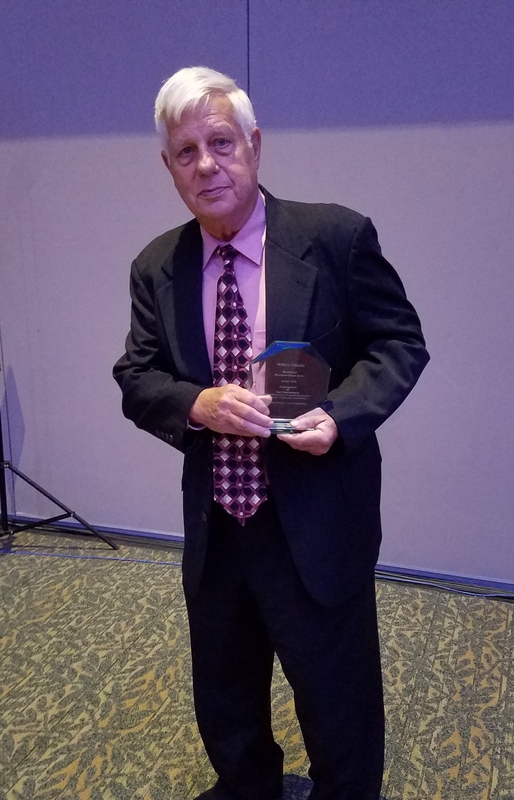 Bill Gdanitz, Fordland Clinic’s Board President, was recognized as a Hometown Hero at the Missouri Primary Care Association (MPCA) fall conference held in Branson last month. The MPCA represents community health centers across Missouri. The Hometown Hero award recognizes outstanding individuals who have been actively involved with a community health center and have shown dedication to the community health center movement. Bill Gdanitz joined Fordland Clinic’s Board of Directors in 2006 and has served as Board Chair since 2010. He has provided excellent leadership as the clinic has grown from one site serving 4,000 patients in 2006 to two sites serving over 8,000 patients in 2017. Under Bill’s leadership, the Board has developed into an active and engaged group of volunteers helping to serve the needs of the community. Although Bill has a busy schedule, he is always willing to attend functions and educational opportunities on behalf of the clinic. Bill serves as an advocate for the clinic and is always looking for opportunities to help others. He also serves on several other Boards in the community and is always first to volunteer, along with his wife, whenever a need arises. Bill was instrumental in obtaining funds to renovate the low-income senior housing in Fordland and was recently asked to assist with a senior housing unit in a neighboring town. For the past several years, he has successfully raised funds from local businesses to hold a Christmas dinner and provide a multitude of necessities and gifts to the residents of the units in Fordland. Fordland Clinic and the residents of Webster County are fortunate to have Bill Gdanitz as a member and leader in the community.